If I were reading somebody else's review of this product, there is no way—no matter how much praise they gave it, no matter how desperately they begged me to try it—that I would believe it's as good as it actually is. This was the biggest pleasant surprise we've seen from TJ's in a very long time. Make no mistake, cookie butter ice cream and cookie butter cheesecake were like heaven on earth, but it's hardly a surprise when the words "Trader Joe's Speculoos Cookie Butter" are on the product. 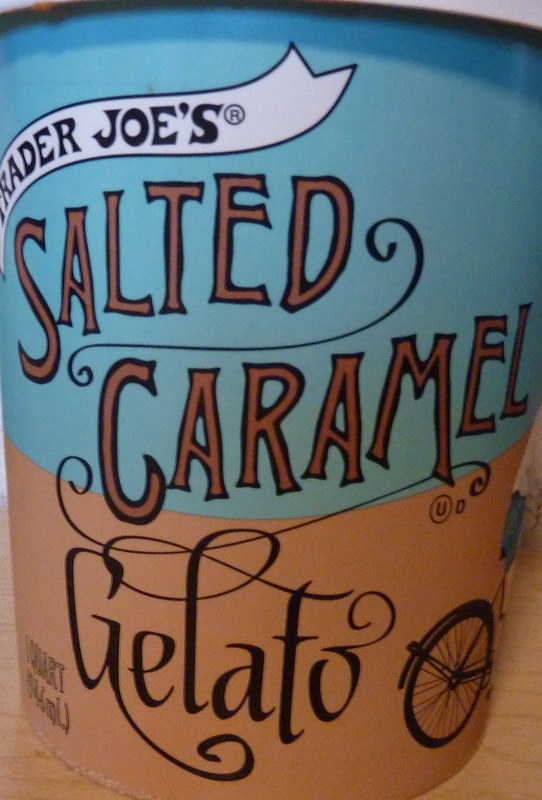 TJ's does the salted caramel thing pretty well, too, but this one's definitely my favorite so far. Although this was our first ever strictly gelato product from Trader Joe's, I must note that I've reviewed a number of other delicious gelato flavors. And I should point out that my intrepid blogging accomplice, Russ, was sharp enough to note that those S'mores he checked out years ago were actually filled with gelato rather than ice cream. Still, TJ's brand gelato is relatively uncharted territory for the WG@TJ's team. Some might say it's strange to review gelato in January—and a particularly cold January, at that. Those people wouldn't be wrong. Truth be told, I never would have picked out this product had it been me shopping on this TJ's run. Sonia found this little gem all on her own, and I sure am glad she did. She thought it would be ironic and weird to review it in this coldest month of the year. It tasted like butterscotch. Kinda almost like Werther's, but really probably more like those discs in gold wrappers. 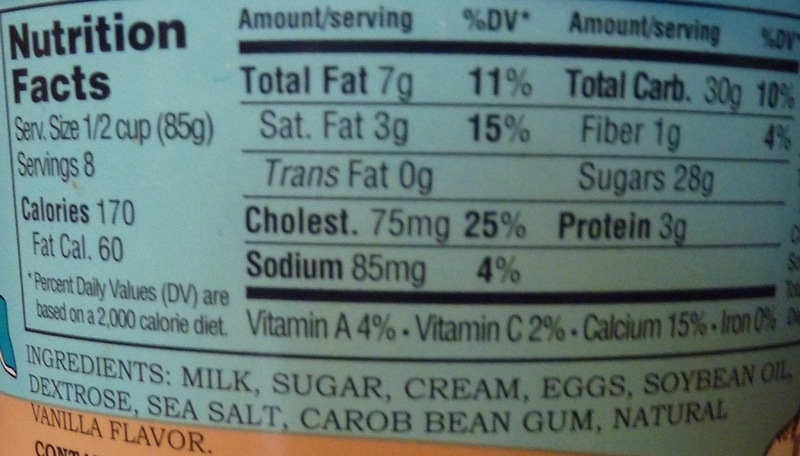 Now, I know what you're thinking: those butterscotch candies are okay, but they're not that good. Well, really I guess what I'm trying to say is that this product tasted like what butterscotch should be...like the best butterscotch ice cream topping ever, but in gelato form. I guess I can see how salted caramel might be a close relative of butterscotch, but for both Sonia and I...this was most definitely butterscotchishness maximus. The whole thing was smooth like buttah, which for most folks would probably be a plus. But I'm always craving chunks of delightful and delicious chewy, chunky things, even in the creamiest of ice creams and gelatos. So that would be my only complaint. We experimented by adding leftover Christmas cookies and candy bits, but in the end, we couldn't come up with anything better than the original smoothness. It still gets 4.5 big stars from me. Sonia gives it a perfect 5. Don't take our word for it. Wait for the spring/summer if you must, but this is a product that needs to be tasted to be believed. All over this/ my favorite gelato flavor. 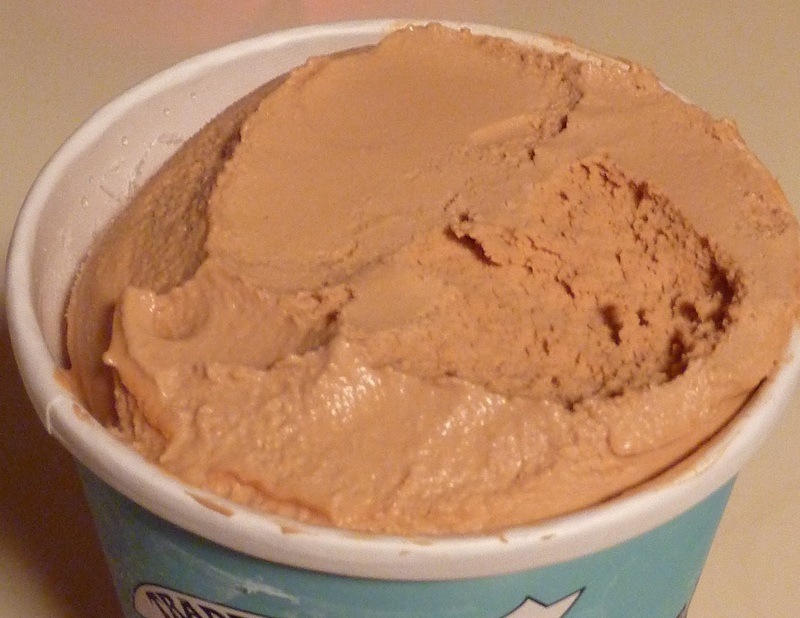 No joke, I have a quart of this AND a quart of the cookie butter ice cream! Have not tried them together yet. Really? I guess this is another one where we have to disagree to disagree because this tasted terrible. Worst ice cream ever IMO. I'm a single guy, love sea salt caramels, love ice cream....At any given time I have 3 or 4 different pints in my fridge and I can knock em out in a day or two. Maybe it's the "natural vanilla flavor, but some thing is off to me here..." Where be the Pumkin Ice Cream? I went full Italian and sprinkled the crushed amaretti cookies they had out for Christmas over this.... My husband and I both swooned! Yum! Yes, I bet amaretti cookies would be amazing with this! I've been looking for this for months in the TJ's around San Diego and haven't been able to find it. Was it discontinued or is it only available in some parts of the country? i LOVE this stuff... it is especially good to put a scoop on top of a brownie. And Nathan, I am also a fan of something crunchy/chewy in my ice cream, so topping with some chopped almonds is a nice touch.